What's new for the DOVE campaign? 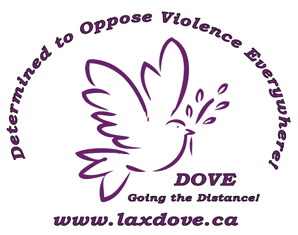 Although we haven't set a date for the next DOVE charity event. We are working towards future campaigns. The DOVE executive would like to thank the volunteers, participants and sponsors who made this another wonderful success! Everyone celebrated the Creator's game with family, friends while welcoming new members to our mere band! Because of your dedication and determination we have raised just over $4,000! You guys & gals, truly rock! We're back for another opportunity to demonstrate our support for the Canadian Centre for Abuse Awareness and the Spirit of the Stick which was founded by Jim Veltman as we prepare to play our fifth annual charity lacrosse game. Since lacrosse players like to go big or go home, we decided to encourage a synergistic relationship between these two driven organizations. Q107's Ryan Parker's First & Last Attempt of being a Lacrosse Goalie! Copyright © 2008 AMLL. All rights reserved.